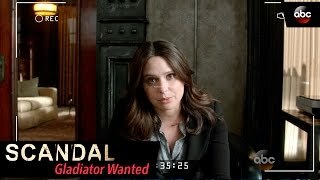 In anticipation of the upcoming season premiere of “Scandal,” ABC is launching a six-part digital series, “Scandal: Gladiator Wanted,” produced by Shondaland and ABC Studios. 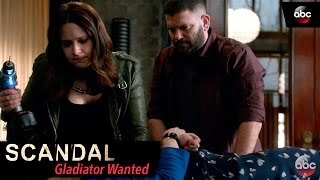 In the series, Huck (Guillermo Diaz), Quinn (Katie Lowes) and Marcus (Cornelius Smith Jr.) are tasked with finding an intern for Olivia Pope & Associates, but as all “Scandal” fans know, the ins and out of gladiating are not for the faint of heart. An intern at O.P.A. has to be comfortable with not always playing by the rules. 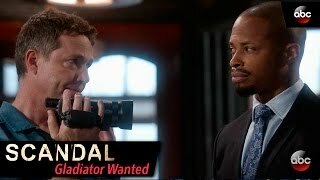 Do their candidates have what it takes to become gladiators in suits? 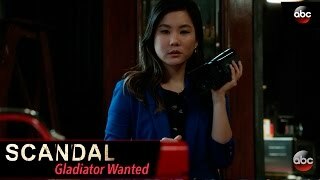 Or will things take a scandalous turn? 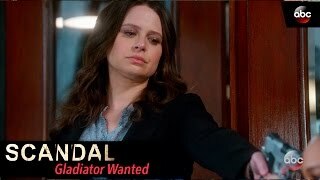 The series is live now on ABC.com and the ABC app. 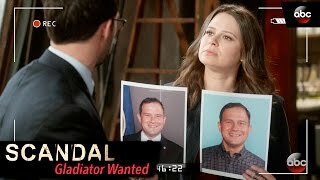 Series regular Darby Stanchfield, who plays Abby Whelan, makes her directorial debut with the series, which is written by Juan Carlos Fernandez and also stars George Newbern as Charlie.